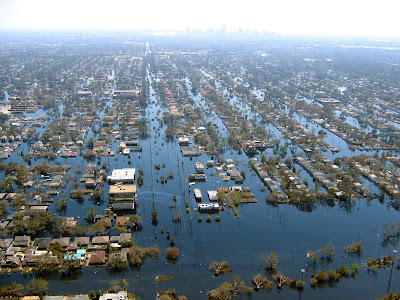 Although many people have forgotten about the devastation caused by Hurricane Katrina, almost three years later many people are still struggling to put their lives back together. Concerned about these forgotten victims, OK Go and New Orleans brass band Bonerama have teamed up to record an EP titled You’re Not Alone, with all profits going to Sweet Home New Orleans, an effort to aid local musicians, including Al Johnson (who wrote Carnival Time, the unofficial anthem of Mardi Gras). The EP includes three new interpretations of tracks from OK Go’s last album Oh No: A Million Ways (listen to the new version below), It’s a Disaster, and Oh Lately It’s So Quiet, and a pair of covers: David Bowie’s Rock ‘n Roll Suicide and Bob Dylan’s I Shall Be Released. Buy some great music, and support an even greater cause.